Get set go… on Angry Birds bicycles! The Angry Birds bug just bit a range of funky and colourful bicycles, meant for junior riders. The exclusive range of bicycles and assorted accessories, brought in by LA Sovereign Bicycles Pvt. Ltd. and put together by Indian firm Dream Theatre Pvt. Ltd., are trendy with bold graphics. 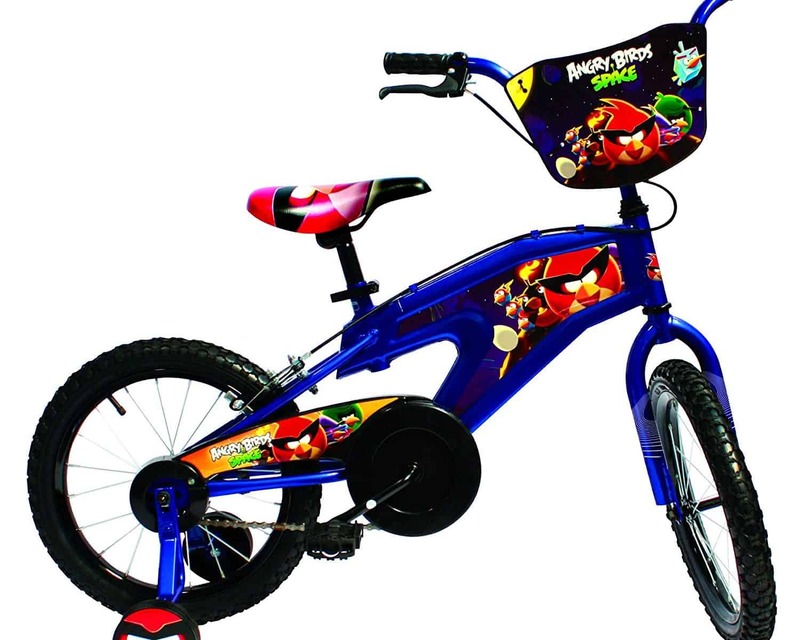 “It is a pleasure to bring in this exciting range of Angry Birds bicycles to scores of young fans. With outdoor activities gaining importance, these branded bicycles featuring the much-loved birds will surely encourage kids to hit the road,” Jiggy George, founder and CEO of Dream Theatre Pvt. Ltd., said in a statement. Available in 40 cities across India, the zippy two-wheelers are available in three distinctive models — Angry Birds Kids 16-inch, Angry Birds Kids 20-inch and Angry Birds Kids 20-inch Suspension. These are priced at Rs.5,100, Rs.5,600 and Rs.6,150, respectively. Also available are a fun range of branded Angry Birds bicycle accessories like saddles, backrest pads, stylish bells and horns and training wheels. Angry Birds started in 2009 as an original mobile game. It has expanded rapidly into entertainment, publishing, and licensing to become an international brand. The simple and casual gameplay involves the use of a slingshot by the players to launch birds at green pigs in an attempt to get their eggs back.